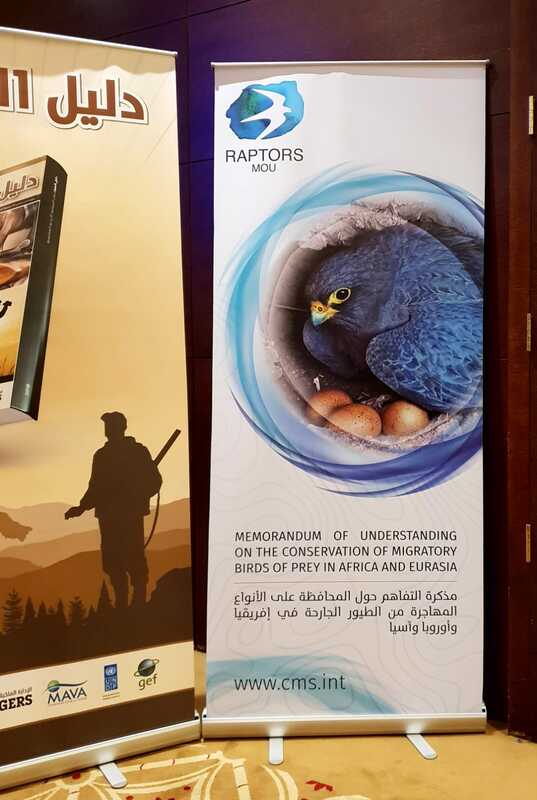 Amman, 3 December 2018 - Jordan has today signed the Convention on Migratory Species (CMS) Memorandum of Understanding on the Conservation of Migratory Birds of Prey in Africa and Eurasia (Raptors MOU), at a national raptor conservation and hunting event held in its capital city Amman, Jordan. The Signing Ceremony was led by H.E. 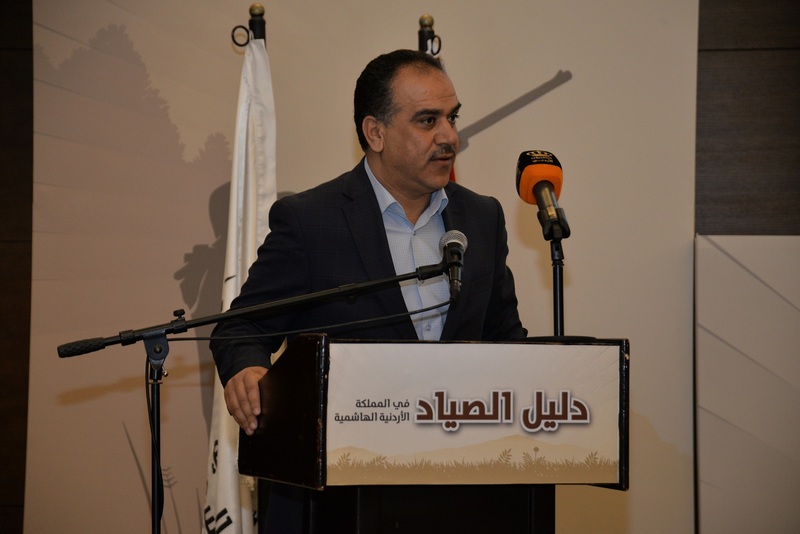 Eng Ibrahim Subhi Al-Shehadeh, Minister of Agriculture and Environment at a national event attended by almost 200 delegates, convened in Amman by the Royal Society for the Conservation of Nature (RSCN) and BirdLife International - Middle East Office. Nick P. Williams, Head of the Coordinating Unit, gave a presentation to introduce the Raptors MOU at the event. In welcoming Jordan as the 60th Signatory State to the Raptors MOU, he explained that "Jordan occupies a strategically critical position at the head of the Red Sea – Rift Valley Flyway, which serves as the preferred route for over a million migratory birds of prey in both Spring and Autumn every year. 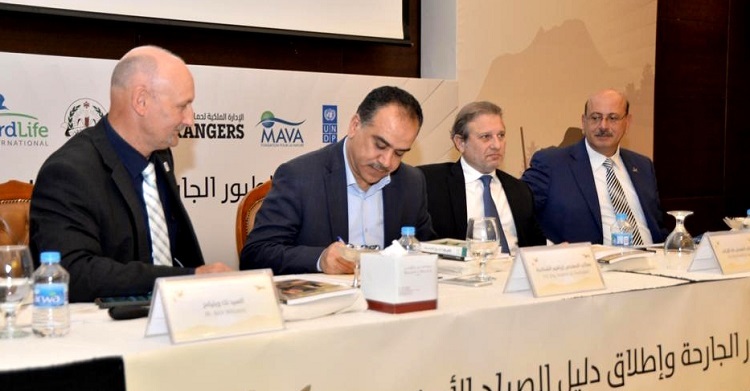 This means that conservation actions undertaken in Jordan can offer profound benefits to almost half of the 93 species listed on the Raptors MOU". Birds of prey that are classified as ‘Endangered’ on the IUCN Red List, such as the Egyptian Vulture (Neophron percnopterus), Steppe Eagle (Aquila nipalensis) and Saker Falcon (Falco cherrug), and ‘Vulnerable’ species such as the Eastern Imperial Eagle (Aquila heliaca) and Sooty Falcon (Falco concolor) occur in the country. The signing of the Raptors MOU formalizes the many years of collaboration offered to the Coordinating Unit by officials from the Ministry and RSCN. For example, Jordan made substantial contributions to the development of the Multi-species Action Plan to Conserve African-Eurasian Vultures. Later in the day-long event, RSCN launched a national Guide for Hunters, to promote responsible and sustainable hunting throughout the country. 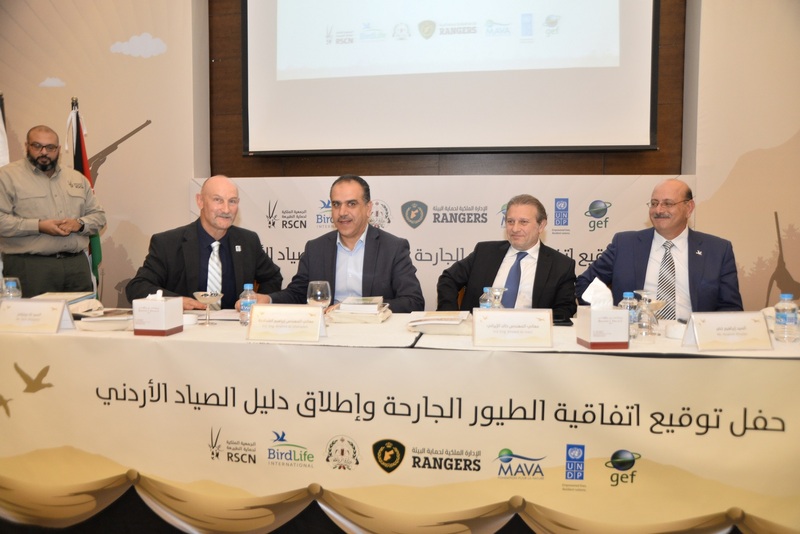 Alongside this, BirdLife International (Middle East Office), introduced a new booklet on Regional Best Practice for Hunting in the Middle East and North Africa. The Raptors MOU will enter into effect in Jordan on 1 January 2019.